Medicare Access and CHIP Reauthorization Act (MACRA) is a very important but not yet widely understood piece of legislation. In fact, quite a few surveyed physicians say they have never heard of the law or are not familiar with the requirements, according to research from Deloitte Center for Health Solutions (2016). However, it would be appropriate for physicians to become in-the-know quickly, as it will take effect in 2019. What are the Quality Payment Program Tracks? How Do Eligible Clinicians Participate? 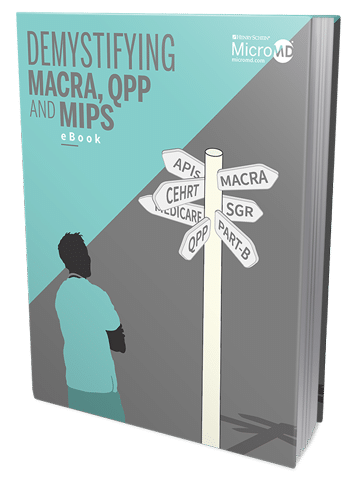 Download eBook to learn about MACRA so that your practice can earn as much as possible under the new regulations. Don’t miss out!